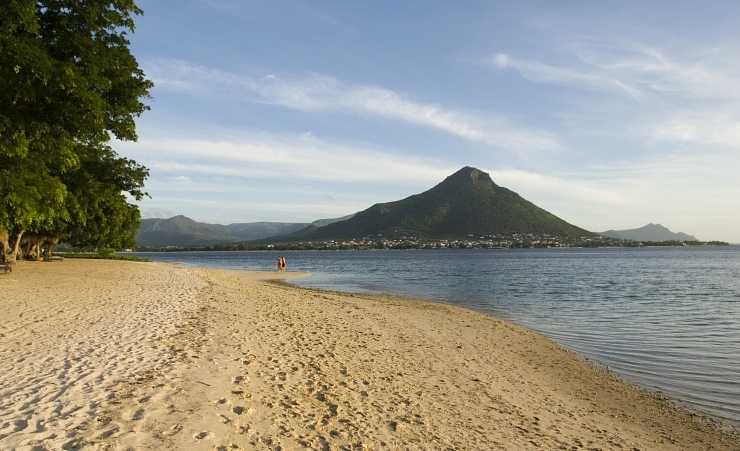 Just south of Wolmar on Mauritius' west coast you can find the small town of Tamarin. A small former fishing village, the village has grown in popularity in recent years due to its picturesque location at the mouth of Black River. Mauritius has a tropical climate, with moderately high temperatures and humidity all year around. Temperatures never rise to such high levels that they become unbearable, although they do reach the mid-30s. The wettest period is from January to March and during these months cyclones may pass nearby giving occasional heavy rain and wind. May through to November is much drier. Taking a drive through the salt pans of Tamarin, you can see the older natural formations on the island. They’re still used to make salt! Head to the Black River for deep-sea fishing boats. You can also follow trails here into the gorges anad visit the Martello tower and museum that the British built for protection in the 1800s. Tamarin Bay and its fine dark sand is found next to the Black River with good surfing spots at either end of the beach. Due to its location at the mouth of the Rempart river, the beach is split in two. In low tide, you can easily cross with the waters only reaching ankle deep, whereas in high tide it might be more difficult. Also be aware that during the rainy season the currents of the sea are strong. Flic-en-Flac Beach is around 30 minutes away from Tamarin and is 8 km of sandy beach with calm waters. This is the liveliest beach on the west coast with locals spending time here on the weekends. Le Morne Beach is again around 30 minutes from Tamarin. The exclusive beach has soft sand and the Le Morne Mountain as its landscape. It is a tranquil spot not popular with locals but is the best place for kitesurfing! Restaurant prices in Tamarin are generally higher than the rest of Mauritius, so it’s something to bear in mind. But for those looking for street food, vendors can be found on Tamarin Beach on weekends, and even the locals enjoy them. Visit Chez Philippe cooking school for a lesson and deli serving local dishes. Tamarin is quieter than nearby Flic-en-Flac. Here, clubs and nights out aren’t the thing in although most restaurants do have an ‘after hours’ vibe for those who don’t want to travel. If you fancy some tunes, check out The Tamarin Hotel, one of the best live-music venues in Mauritius, especially popular with jazz lovers. Much like the rest of Mauritius, Tamarin has many diving schools for visitors to take advantage of and see the exotic fish and coral reefs. There are also opportunities for swimming with dolphins and whale watching. 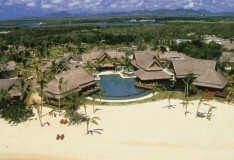 The Tamarina Resort and Spa is home to an 18-hole golf course home to views of the bay and Rempart Mountain. They also have classes for adults and children to perfect their swing. Buses to Tamarin leave Port Louis every hour and are relatively cheap. Taxis are also available throughout Mauritius, but it is recommended to negotiate the price before you jump in as they rarely use meters.